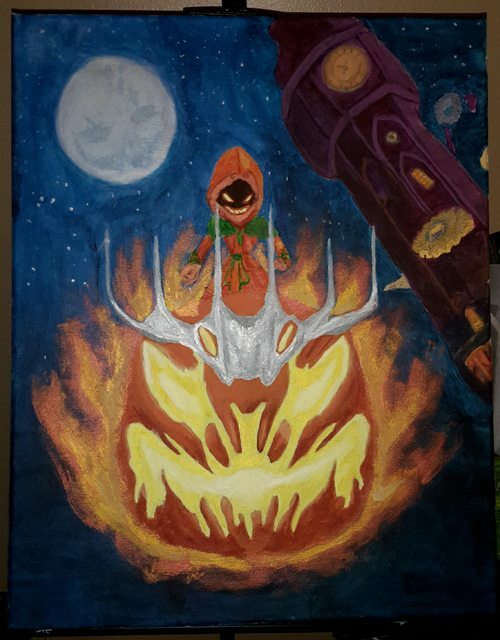 Halloween is here again and so are my Halloween costume contest and Halloween art contest, but this time Wintersday is coming early. 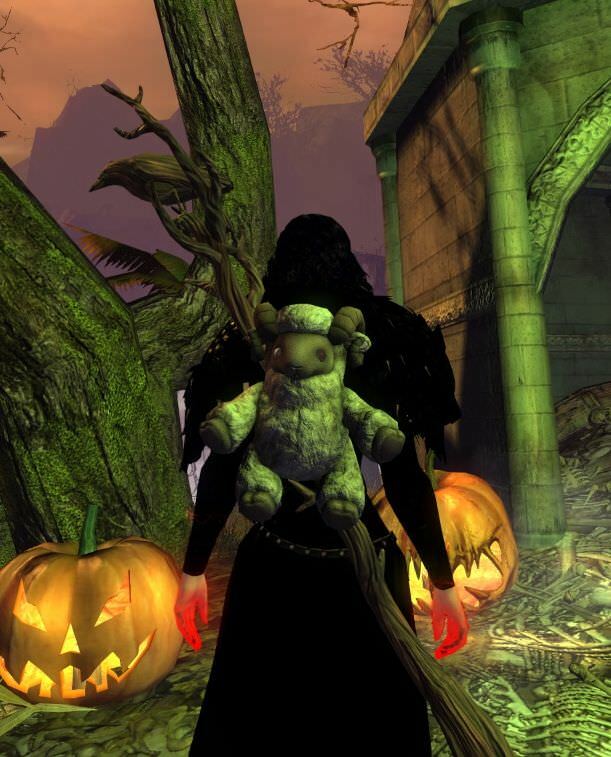 I've decide not to run a Wintersday contest and instead offer better prizes for the Halloween contests. 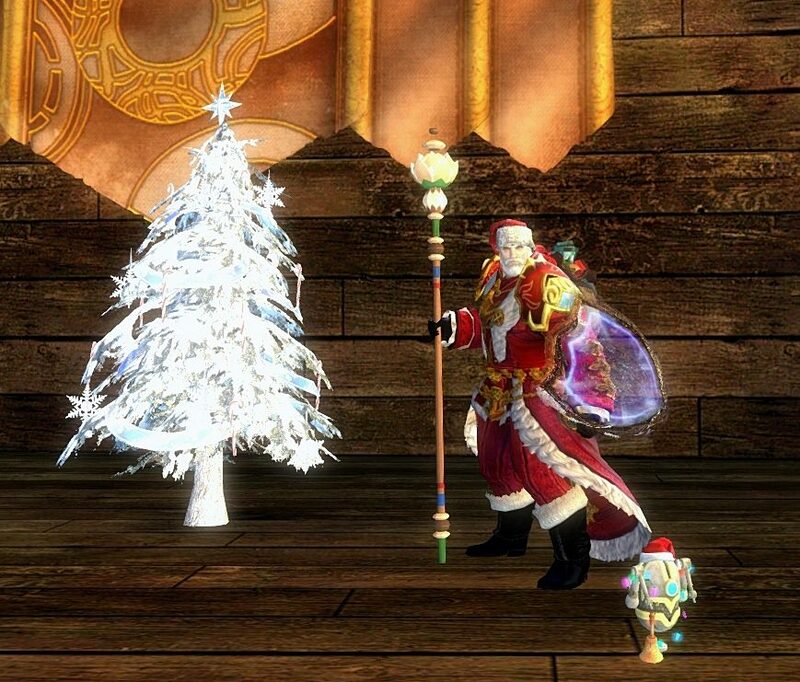 That's not to say that you can't add a little Wintersday cheer into your entries. I'll be offering a choice between two prizes for both contests. 2. A Month A three month Humble Monthly Bundle Subscription. Each month you receive a bundle of games worth over $100 in value. You can even gift games you already have or don't want to friends. 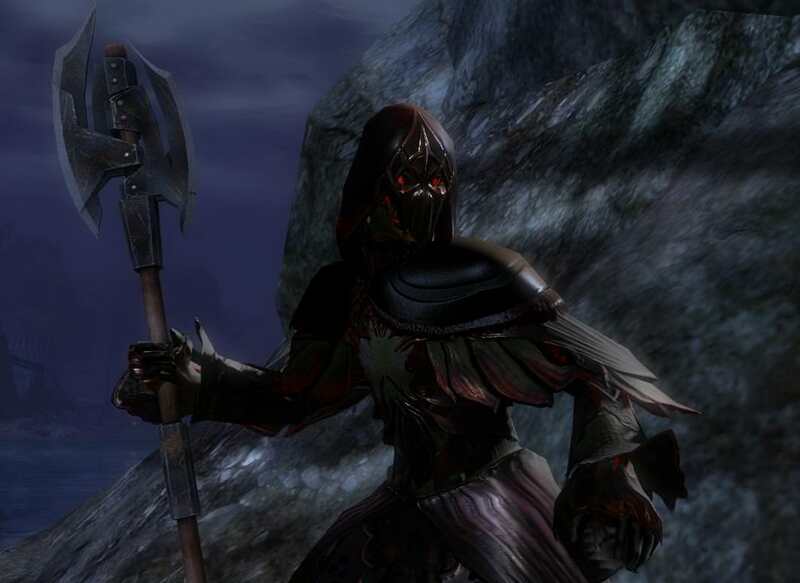 In this contest you must make an costume using the armor in game (no outfits) to create a costume. It can be Halloween/Wintersday themed, or based on a character from a movie, game, anime, etc. 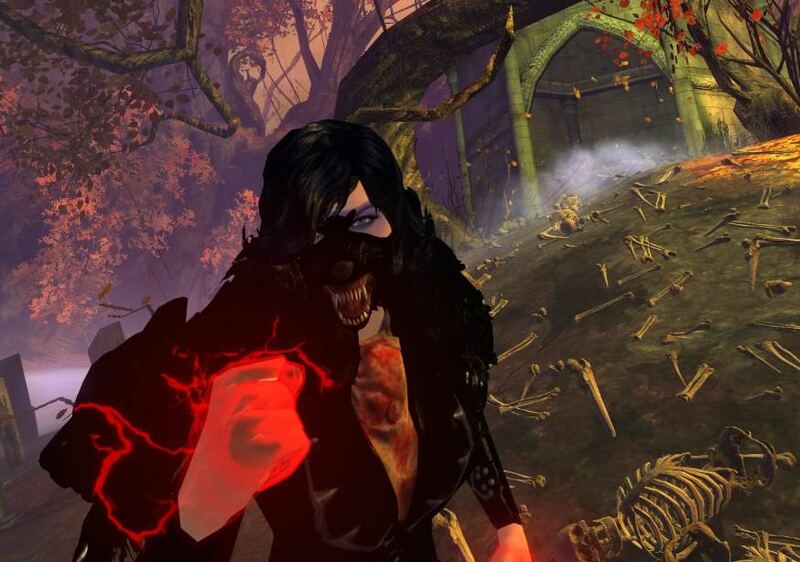 Take a screenshot of your costume and share it here on the forums with a description of what your costume is about. 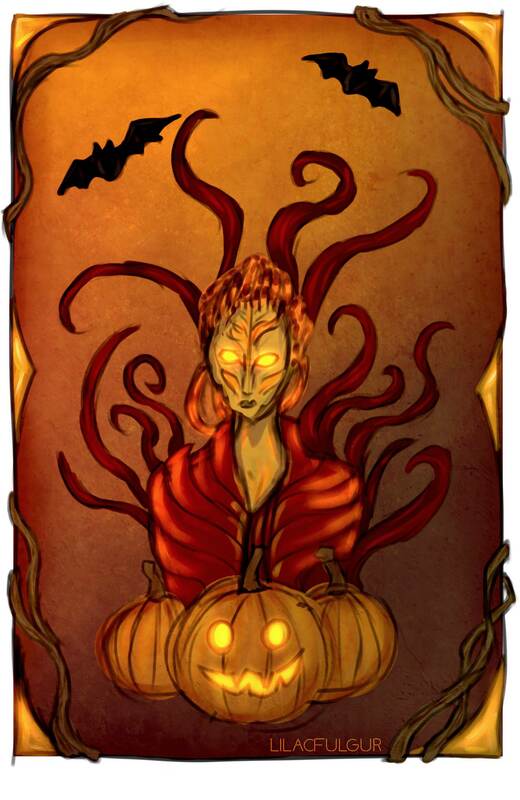 You'll be judged solely on the costume; however, the background can make a better impression off your entry. 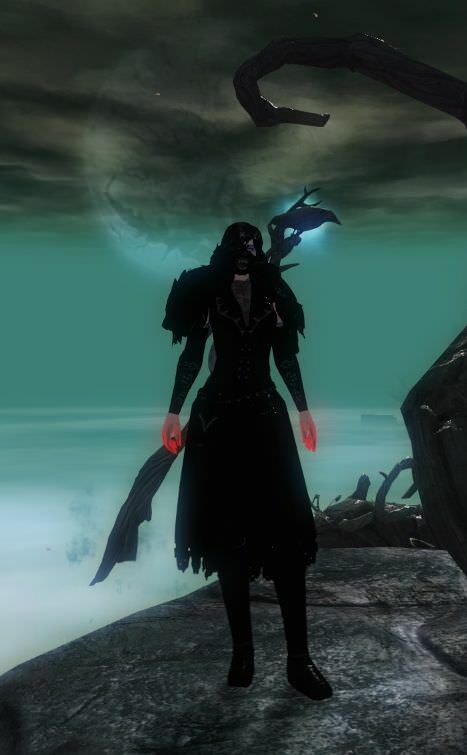 I love to see the creativity of others so for this contest I want to see Guild Wars 2 Halloween themed art. It can be digital art, hand drawn, painted, a 20 ft. sculpture, etc. the choice is yours. The piece must be gw2 and Halloween/Wintersday themed. To enter for this just submit and image to this thread. 1. Everybody is eligible and encouraged to enter (even Arenanet Employees). 2. If you don't want the prize but want to participate for the fun of it, just make mention of that in your entry and I will give the rewards to other entries. 3. The Deadline is November 14th. Happy Halloween, Mirai! Thanks for the contest! This is such a sweet idea, Mirai! I will be mentioning your contest on CSL, and it's great that you included a very nice piece of art with this contest announcement, too! The time has come when nights grow long, when the veil between our world and stranger realms is at its thinnest. Creatures crawl out of the shadows sniffing for prey, following the scent of the blood of the living, the sound of their pulsating hearts and anxious breaths. Once one of these creatures has caught your scent, chances for survival are slim - unless you hide at the one place where the bloodstained claws and fangs cannot reach you: right at the creature's back. I have some other super heroes...but I think I am going with the Winter's Day theme. 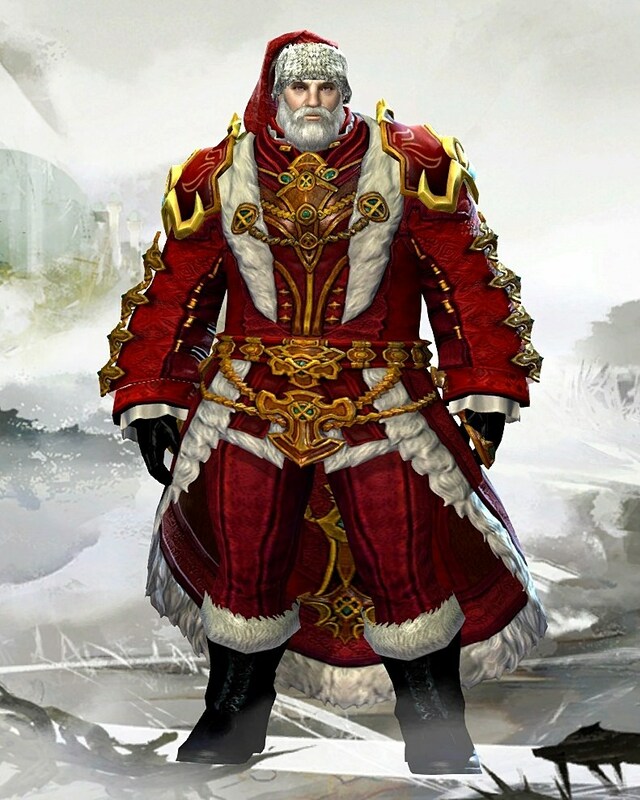 Please meet Santa Odin. 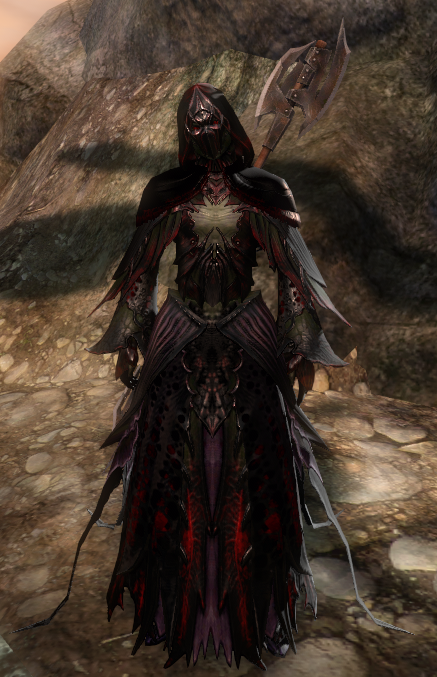 (yes, that's my real Mesmer...all the time...:) ) All light armor, the hat is an armor skin from the gem store. The rest are all in-game acquirable skins. Most of the time, I now use "Winter's Presence" shoulders. I'll see if I can get an updated pic tonight to add as well. Thanks for doing the contest! ...darn, it's November 2nd. Have some leftover spooks? The Nightmare Court sends one of their own to the Mad King’s Day celebrations, silently laughing at their joke. To the rest of the world, the executioner appears as just another frightful costume, just another person (with a morbid sense of humor) dressing up for fun. You see, the Nightmare Court doesn’t convert all of their prisoners. 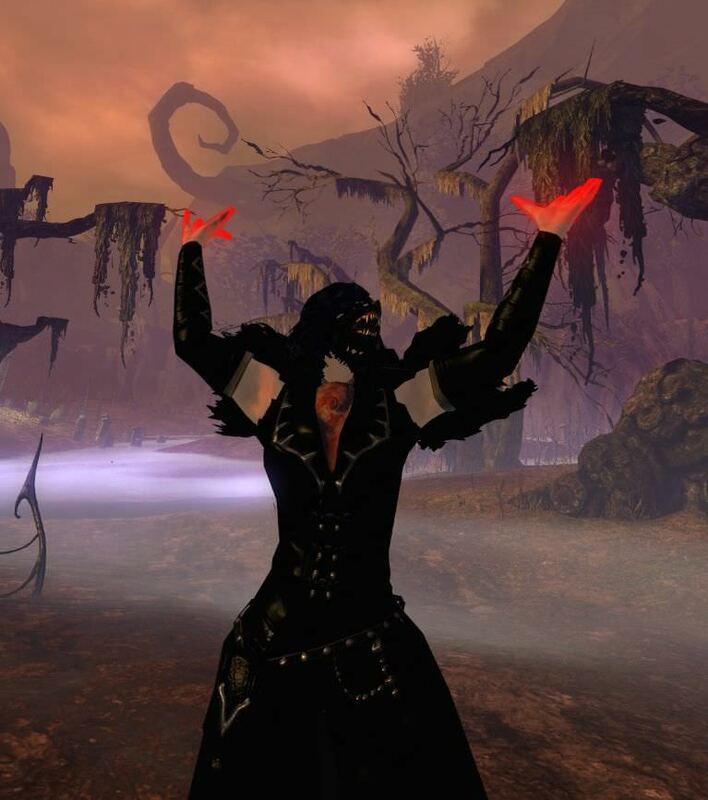 Some sylvari simply refuse to break. 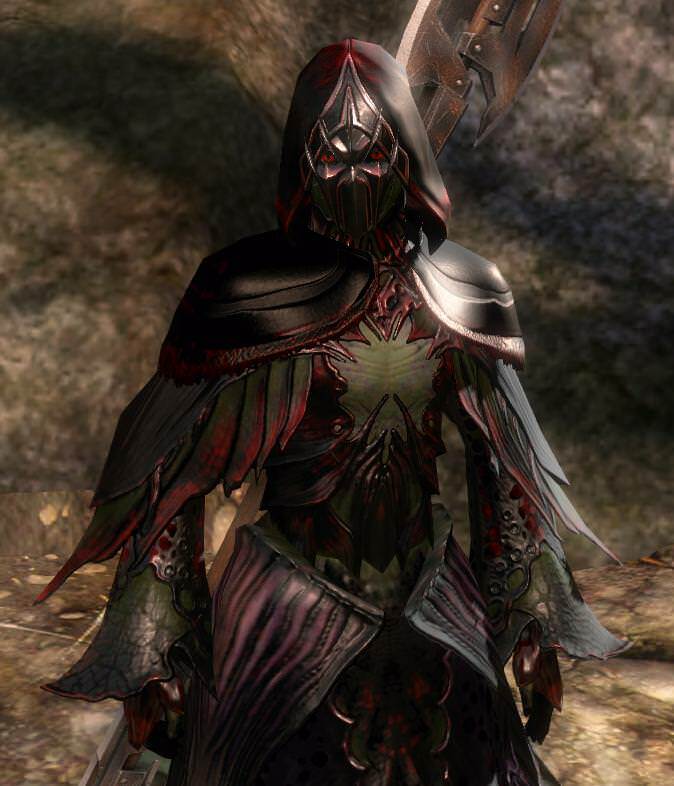 The Courtiers could continue the torture indefinitely, but at some point it would be a waste of effort: resistant sylvari often escape, are rescued, or find ways to die painlessly rather than continue living in agony and feeding their sweet darkness back to Mother and the Dream. The Court will not allow them the triumphant release of peaceful death. 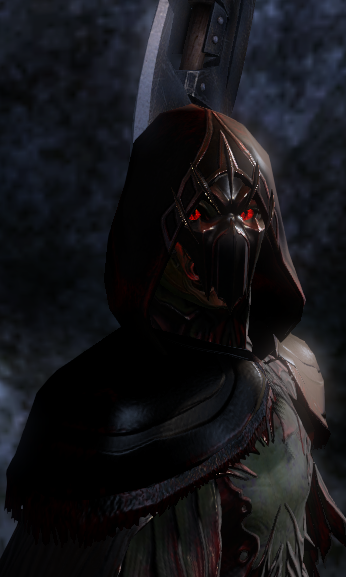 Baleful red eyes glare from behind a bladed mask as the bloodstained executioner approaches. His presence promises a painful end. No words need be said. They all know what’s coming. Note: These are spoiler'd for length... I can't get the screenshots to be any smaller without making them extremely blurry (and a few of them are blurry already; thanks, imgur...). Sorry for the length!! Five screenshots, all one outfit. Definitely will pass later on this post to posted mine. I'm a crazy fan on creative screenshot! Awesome idea Mirai!! Here's my 'participate for the fun of it' entry. 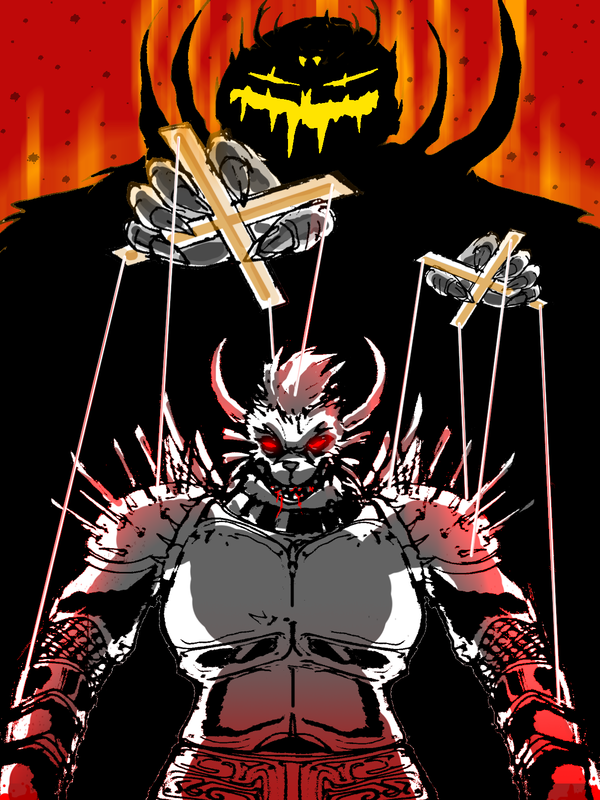 It's a Visual of "Deity of Ragefire" (literally) being controlled by the Madking... A very dark Omen indeed. Just wanted to let everyone know there's still one week left to submit an entry, the deadline is November 14th and the submissions so far are fantastic. Also I wanted to clarify, you can enter both contests, with one entry each, but to be fair to others, you can only win one of the contests. Oh and Thanks for mentioning the contest on CSL, I even saw a guildmates drawing on there. Super happy to feature the contest. Thanks again for hosting it, and I can't wait to see the entries and winners! 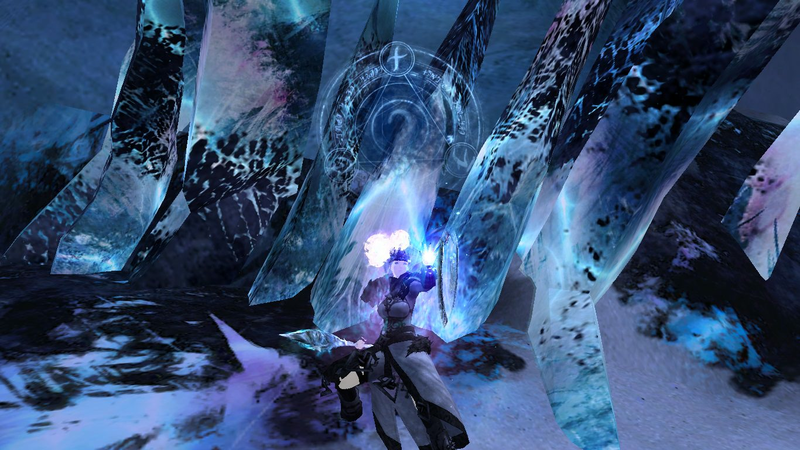 You can't melt this bulwark of ice. A clear picture of the look. Kinda last moment entry, but I really wanted to take part, even if I didn't have as much time as I wanted to do this; also, who cares that Halloween is over, right? Glad i stumbled across this contest, Hopefully it's not too late to enter. 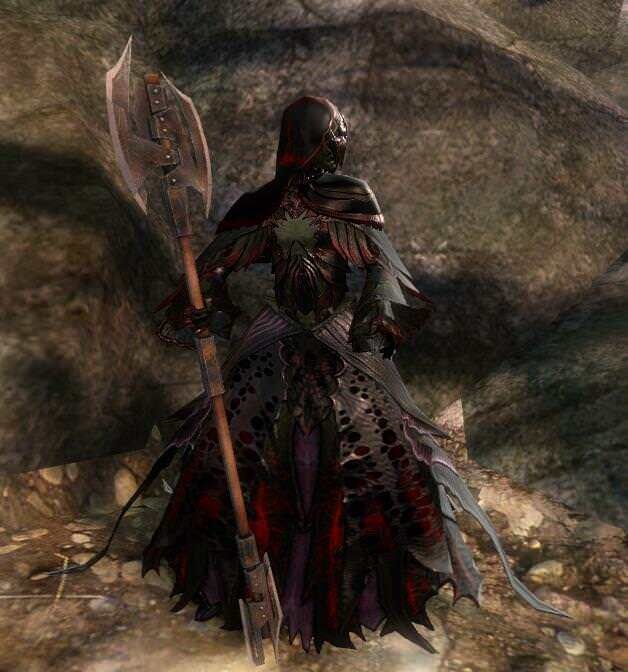 A sylvari before awakening had a vision in the dream that was hard for her to describe. It seemed to be a celebration of sorts. There were cheerful decorations everywhere, everyone was giving each other gifts and there was laughter and singing as well! it was snowing but while the atmosphere was cold she felt warm with happiness. It felt truly magical, she had to know what it was! She started by traveling to the first place she learned had snow, shiverpeaks, but was ill prepared for the harsh landscape. Luckily the Norn take her in and teach her many new things. The virtues of the spirits of the wild, how to fend for herself in such a harsh environment, and most importantly...how to hold her liquor! 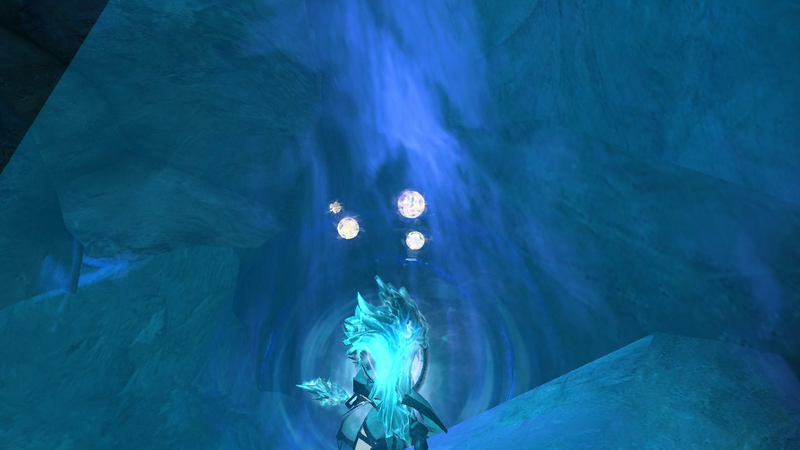 but while the festive moots were grand in their own right it had not been the same as what she saw in her vision, So the sylvari must continue her search elsewhere. While trekking through the mountains she spots a dolyak being attacked by a pack of icebrood wolves, without hesitation she jumps into action and fights off the corrupted wolves. 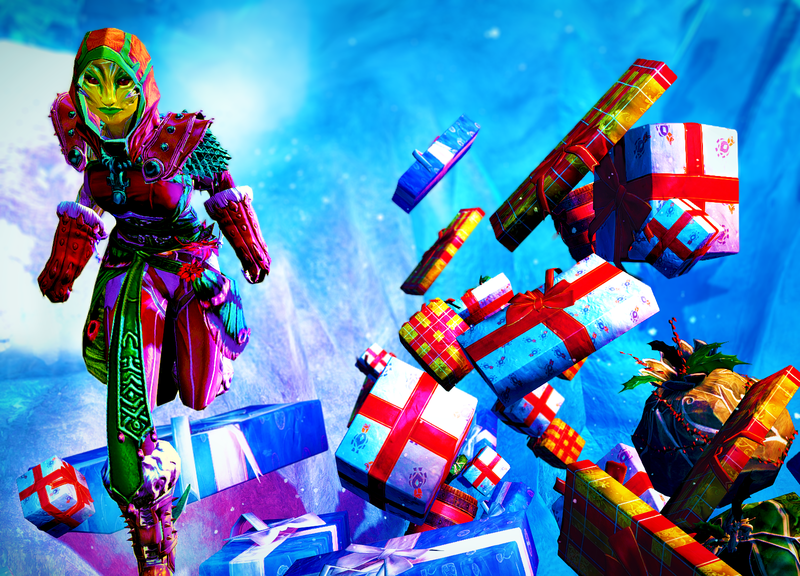 After successfully driving them away she turns her attention back to the dolyak and upon closer inspection notices the bag it carries is filled with colorful presents, all of them signed for an event called Wintersday in Divinity's reach. Sensing that this has something to do with the dream she decides to accompany the beast of burden to ensure a safe travel to its destination. The journey was long and arduous but once they arrived she knew that this was it! it was everything she had dreamed of! The pine trees adorned with lights and ornaments were captivating. The city was bustling and snowmen made by the local children lined the streets. Ringing from the bell choir filled the air, as well as the hearty laughter of those caught up in the merriment of the occasion. It was such a lively atmosphere! 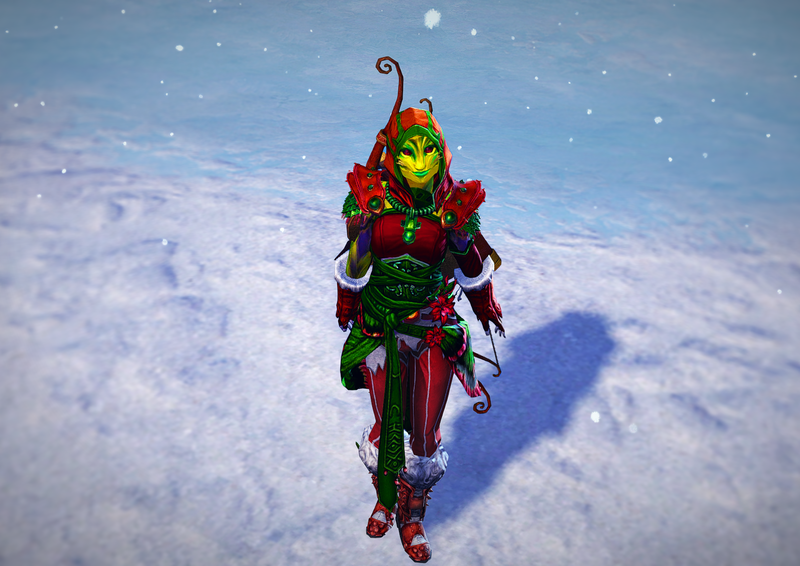 She loved Wintersday and all of its splendor. Though the thing she loved most was how it brought everyone together and showed her the importance of the people who are closest to you. 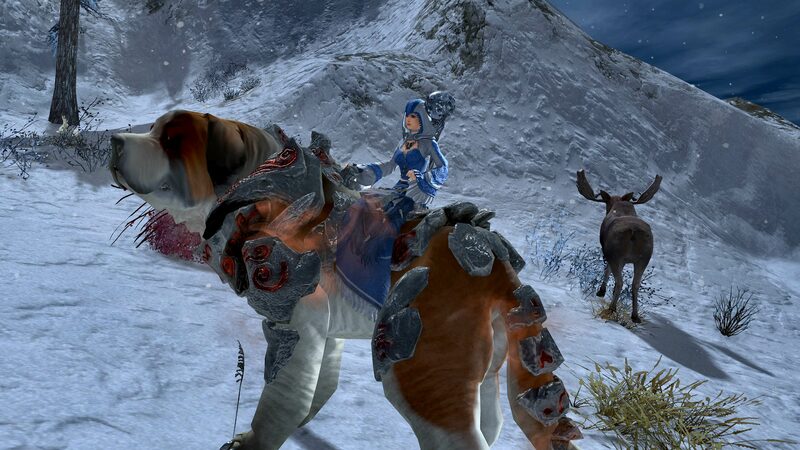 Which is why when Wintersday ended she was happy to go back to her newfound Norn family where she truly belonged. I want to thank everyone for participating in the contest and this post marks the last of the entries. I'll post the winners of the contest once I finish judging. 2. A three month Humble Monthly Bundle Subscription. Each month you receive a bundle of games worth over $100 in value. You can even gift games you already have or don't want to friends. Post which prize you would like or pm me on the forums or in game. With that the contest is over and I hope to see you for next years contest. I would like Armello. Have seen the game, looks interesting. 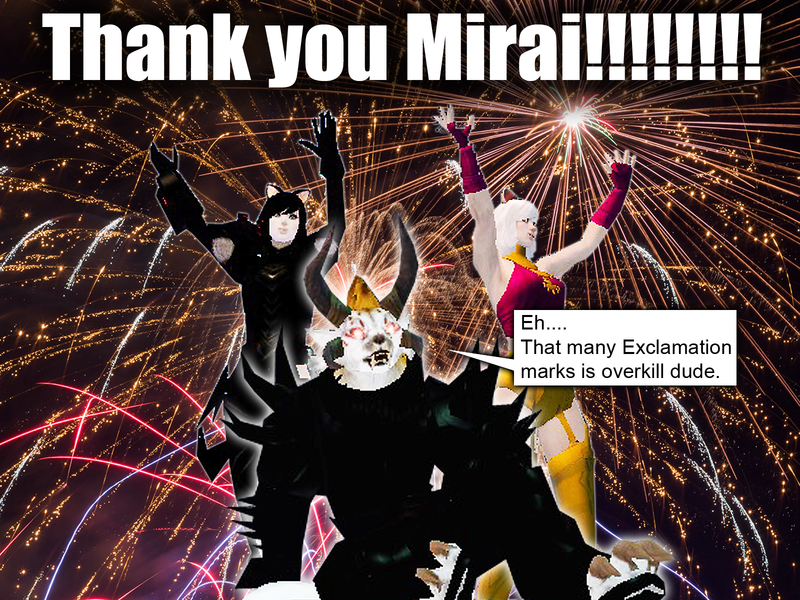 Thanks again for the contest, Mirai! I know that I now have the tools I need to bring 'em back alive! Thanks for hosting such a fun contest for the community to participate in, i enjoyed looking at other peoples costumes/art. As for the games, i wouldn't mind giving Shadow Tactics: Blades of the Shogun a try. Thank you so much for this contest again! I would love the Last Day of June game if that is still available. A personal thanks from Deity and the Cat Sisters.